At the HIMSS Annual Conference and Exhibition in Orlando, HIMSS released the results of the 2014 HIMSS Nursing Informatics Workforce Survey, which examines the roles, responsibilities and outlook for nursing informatics professionals. The 2014 Survey captures current professional status and practice trends, while identifying changes that have occurred over the last nine years in the nursing informatics workforce. 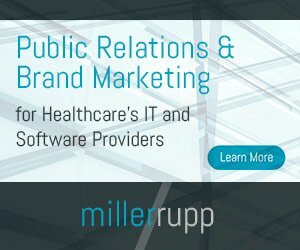 The survey, supported by the HIMSS Nursing Informatics Community, continues to suggest that nurse informaticists play a crucial role in the development, implementation and optimization of information systems and applications including clinical documentation, computerized practitioner order entry (CPOE) and electronic medical/health records. Another key finding of the survey is the overall growth in the nursing informatics field. Based on the responses of more than 1,000 nursing informatics specialists, 70 percent have titles that specified an informatics position, which is double the amount from the last HIMSS Nursing Workforce Survey conducted in 2011. The survey results also showed that professionals in the nursing informatics field experienced an increase in salaries and interest in pursuing additional training within the field. New to the 2014 survey, which builds on previous HIMSS research from 2004, 2007 and 2011, are questions surrounding the respondents’ job satisfaction with both their current position and their career choice in informatics. Overall satisfaction with jobs and career choices is high amongst respondents, with 57 percent reporting their level of job satisfaction as “satisfied” or “highly satisfied” and a majority (81 percent) rating a “satisfied” or “highly satisfied” opinion of their informatics career decision. Respondents attributed the top barriers to success to a lack of administrative support and staffing resources. The rise of nurse informaticists with advanced degrees suggests that these professionals have significant knowledge and experience to bring to their positions and that administrative support roles have not been adjusted to support this shift. 60 percent have a post-graduate degree, which includes a Master’s degree or PhD in nursing or any other field/specialty. 43 percent have a Master’s degree in nursing or a PhD in nursing, an increase from the 36 percent who indicated such in 2011. 20 percent have one to five years of clinical bedside experience, an increase from 12 percent in 2011, suggesting that there is increasing demand for the role. Salaries continued to increase when compared to previous surveys. The average salary in 2014 was $100,717; up from $98,703 in 2011 and $83,675 in 2007. 67 percent indicate that they do not have a supervisory role. This number increased from 61 percent in 2011 and 58 percent in 2007. To download the complete report and the corresponding infographic, please visit: www.himss.org/ni. 2014 HealthITJobs.com Salary Survey: Are You Making the Money?